Have you heard the egg song (click on the cloud in the upper left hand corner) and seen the animations? Oh my. My kids (especially the baby) can watch for hours on end, I think. The current record for the song is seven times in a row, and we only stopped because I really got tired of clicking the "replay" button while I was trying to make dinner, and that dang tune was stuck in my head and threatening to drive me crazy. Woke up singing it this morning, too. You've been warned, click at your own peril. So here is my March/April pincushion. 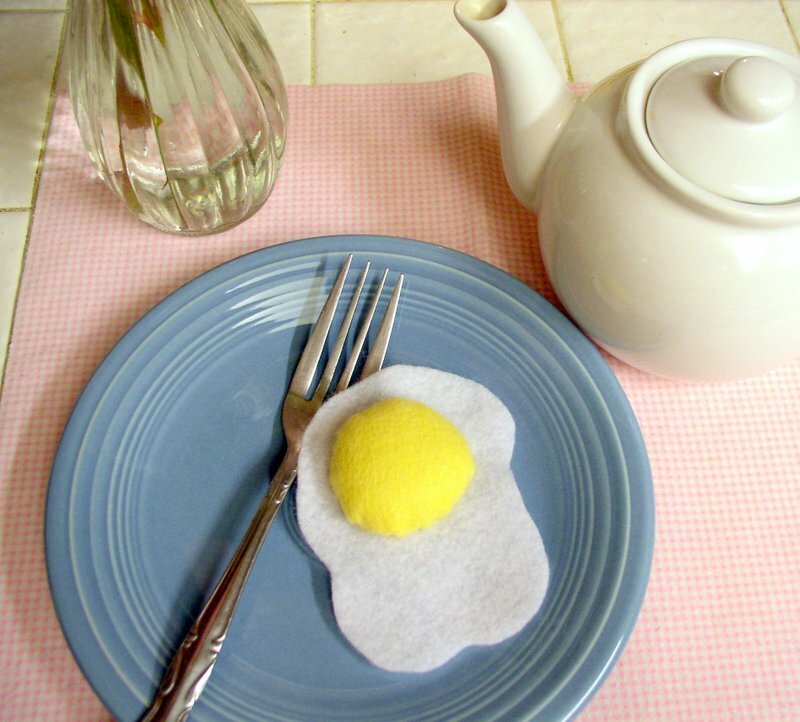 In the time it takes to cook a real egg, you could probably make one of these. Now the kids are playing with it in their kitchen. Minus the pins, of course, Dad. 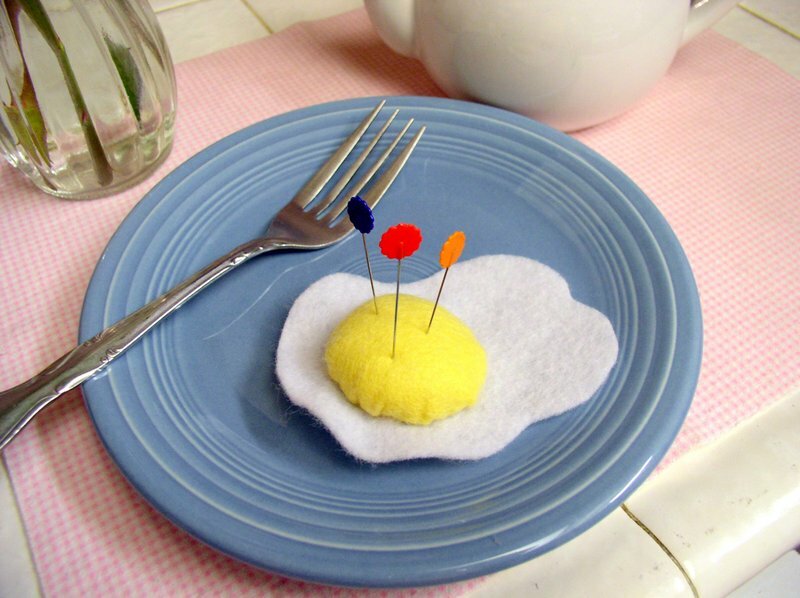 Your pincushion is very clever and cute! I've never heard the egg song until now. Cute! Adorable! I love felt food. Hysterical! Thanks for sharing the link! I played that song so much when I found it another another blog that I have it memorized.